Your time is precious. So you want a scanner that is an easy-to-use and delivers high resolution images in real time as you review your archives. 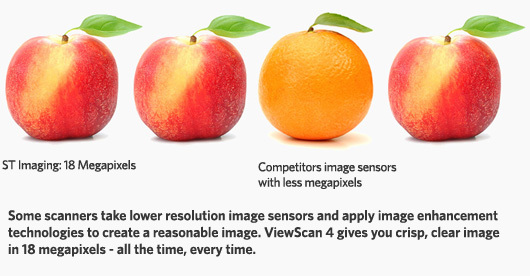 The ViewScan 4 uses an 18 megapixel image sensor that is Always On to stream high resolution images as you browse, which takes the majority of your time. Other microfilm scanners that need to use pixel-shifting to integrate multiple images to capture a higher resolution, can’t display that higher resolution live while you browse. Make sure you pay for what you want. When we say we have an industry-leading 18 megapixel camera with an 18 megapixel image sensor… We Do. So why settle for a low resolution view when you can Browse, Print, Save or Share your archive in HD 18 megapixels with ViewScan 4? 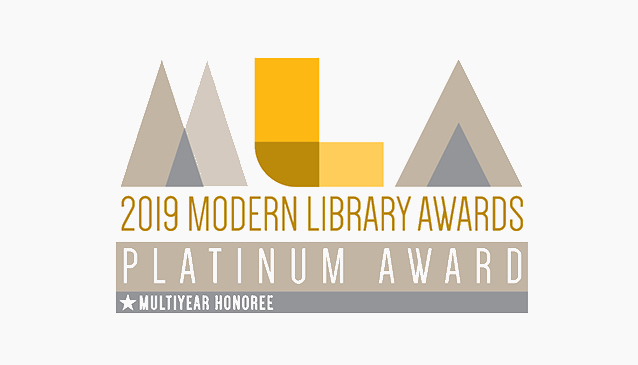 The ViewScan from ST Imaging has been recognized as a leading microfilm scanner with Platinum distinction a fifth consecutive year by the Modern Library Awards (MLAs). Thank you judges for consistently recognizing the ViewScan as an elite product within the library industry. Discover why the ViewScan is regularly regarded as a leading microfilm scanner for libraries. 18 megapixel color image sensor, is the perfect replacement to your old and outdated microfilm reader/printer. Bring your microfilm collection into the digital world with PerfectFocus on the ViewScan 4. Don’t leave your conversion to chance. Guarantee a 100% capture rate for your microfilm and microfiche using nextScan’s advanced line scanning technology. Follow the link below to learn more about nextScan conversion scanners. ST Imaging offers premier microfilm scanning equipment and software. The all new ST ViewScan 4, launched in the summer of 2017, is the 5th generation digital microfilm scanner from ST Imaging. Equipped with a range of cameras including a native 18 megapixel image sensor camera all scanners are capable of scanning all microfilm. ST Imaging Software will dramatically change the way all users work with rolls of microfilm and pieces of microfiche. First, PrefectFocus locks the image into focus. Next, intuitive design makes browsing fast and easy. Finally, users quickly scan and share discoveries via printing, email, Google Drive, Dropbox and more. The ViewScan 4 Microfilm and Microfiche scanners are sold via local authorized resellers with experience in micrographics to ensure exceptional sales, service and support. Our resellers have been trained on installation, training your employees, how to support and provide software upgrades as needed. See what people are saying about ST Imaging scanning products. A bit in love with the LoC’s microfilm machines. You can *crop* and *scan* and *adjust images on a computer screen* and then *save them*. The Underhill Reading Room’s new microfilm scanner is everything we always wanted – and more! This is one of the best technology purchases we’ve made in a while. Zoe just hugged the machine.